The District of North Vancouver is replacing the existing at-grade rail crossing at Philip Ave and 1st St W with a new overpass. overlying a relatively denser layer of sand and gravel. The groundwater level was measured about 2m below surface. 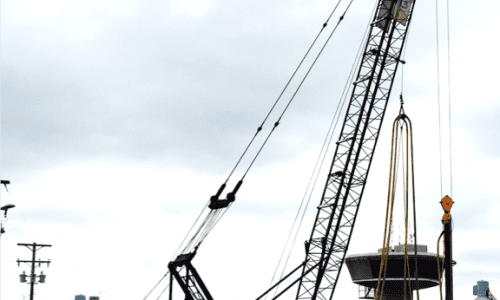 Based on the Engineer’s liquefaction assessment, ground improvement was required to satisfy the seismic design criteria for the bridge pile foundations and approach embankments. Four individual areas required treatment; two areas for bridge pier foundations and two areas for abutment foundations. Vibro Replacement stone columns installed using wet top-feed methods was selected as the most appropriate ground improvement technique since this equipment configuration has proven to be the most capable and efficient at penetrating very dense and cobbley soil conditions which occurred within an otherwise generally loose to compact soil profile. 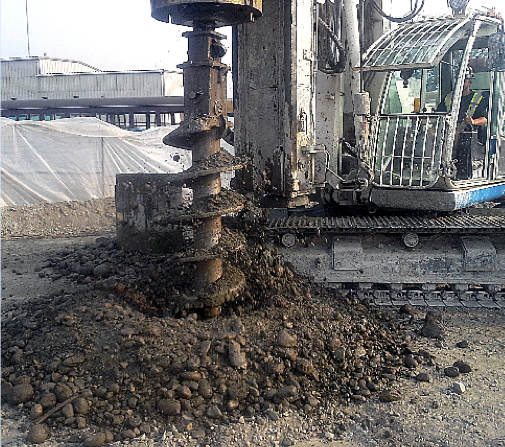 Stone columns were arranged within the treatment areas so as to not interfere with future pile installation. 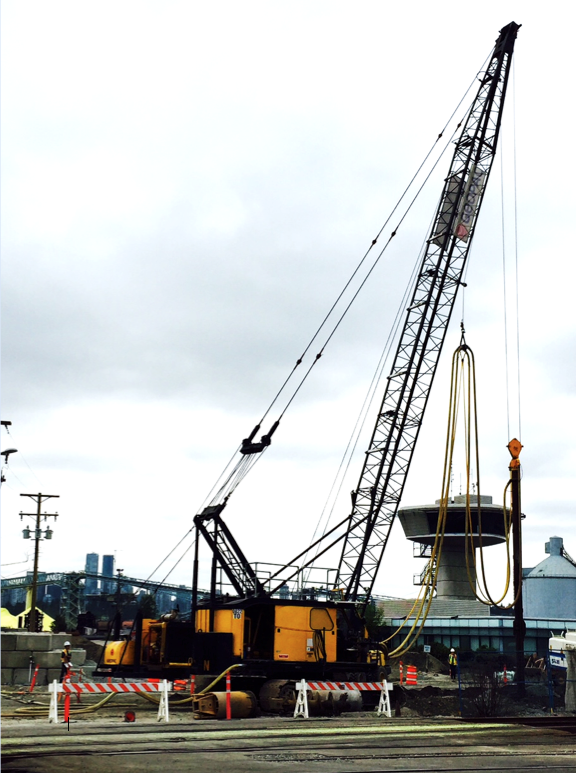 Standard Penetration Testing (SPT) showed that Menard Canada’s electric V23 Vibroflot equipment and wet top-feed methods were able to achieve the specified performance requirements. 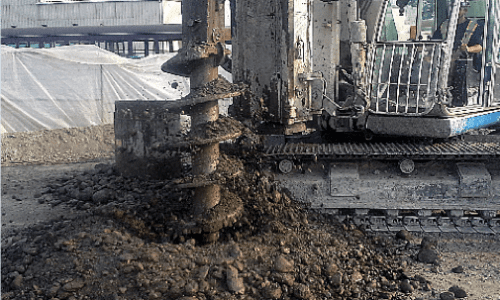 Localized pre-drilling was required at only 5 stone column locations in order to allow Vibro penetration to the full treatment depth.